I am prepared for this post to become a debate. You see, the title makes this list subjective. Even if you use your search engine and type in biggest military battles, you are going to find a huge variety of answers. Amount of military equipment used? Well, I am taking all those variables into account, as well as more. So before you choose to get argumentative, know that this is my opinion and we are open to hear your opinion. You can give it in the comment section at the end of this post. Now, starting from #10 and working up to #1, here is my opinion of the top 10 biggest military battles in history. This military battle took place in 260 AD in what is now Southern Turkey. While statistics are not clear because of the length of time since, we do know it was huge because this battle was between the Sasanian Empire (Persian) and the Roman Empire. The Persian forces were under control of King Shapur I and the Roman forces were led by Emperor Valerian. The Sasanian Empire defeated the Romans handily and took Valerian captive. All Roman troops were slaughtered. This battle was held for approximately 2 years between the State of Qin and the State of Zhao in ancient China. It took place from 262 BC to 260 BC and both sides had nearly the same amount of troops. When all was said and done, the State of Qin led by Bai Qi and Wang He killed or seriously injured all of Zhao forces, around 450,000. This battle showed just how fierce the Koreans are. This occurred in 612 AD. Sui and Emperor Yang of China invaded Goguryeo (present day Korea) with more than a million soldiers. But unable to make a push through the defenses, Yang sent over 300,000 troops towards the capital of Goguryeo but Eulji Mundeok used his small force to destroy the Sui forces at the Salsu river. He did this by using a pre-built dam and when the troops were in the water, he opened the dam drowning many. This took place in what is now India between the Kalinga and the Maurya Empire in approximately 262 BC. Ashoka was leader of the Maurya Empire and his forces decimated the Kalinga. Ashoka was so overwhelmed by the blood his forces spilled, around 50,000 killed, that he became a Buddhist. This was a huge battle as China was attempting to retake an area in Guangxi Province the Japanese had taken from them. This was in 1945 and the Chinese sent 600,000 troops against the Japanese who had over 650,000 troops. But the Japanese were at war on another front too… The Americans. The Chinese had success and they were sure all the Japanese left when the bombs dropped on Hiroshima and Nagasaki. From October of 1941 to January of 1942, Hitler sent his Nazis on an offensive against Russian forces at Moscow. Between both sides, there were nearly 4,000,000 soldiers. And Russia lost over 1,000,000. But the Soviets held out and pushed back at the Germans. 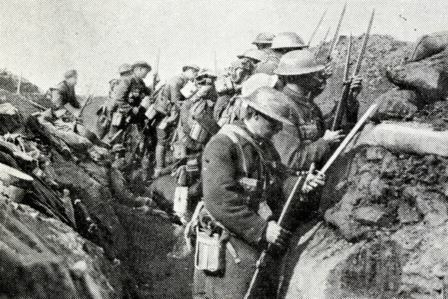 For around 140 days in 1916, France and Britain fought against German forces at the Somme River. It is considered one of the bloodiest battles in history. Well over 1,000,000 perished and there was never a declared winner. It was trench warfare where maybe 1 out of 10 came home alive. This was the Battle that ended World War II. It was the Soviet Union stomping into Berlin and death and destruction was the result. Also at the end of this battle in April and May of 1945, Adolf Hitler committed suicide. It was a decisive Soviet victory and Berlin was split between Communist and Democratic sides. Nazi Germany and Finland started what would be one of the longest and most destructive sieges in history, and possibly the costliest in casualties suffered. It lasted for over 2 years and well over 4,000,000 casualties were a result. This was bad… Very bad and hopefully nothing like it ever happens again. From August of 1942 to February of 1943, the biggest battle in military history happened in Russia. It was the largest (nearly 2.2 million personnel) and bloodiest (1.8–2 million killed, wounded or captured) battle in the history of warfare. And while the Germans had their way in Leningrad, the soviets would not allow it to happen in Stalingrad. The Soviets destroyed the German 6th Army and pushed the Nazis out of Stalingrad. There you have my opinion of the top 10 biggest battles in military history. Some may wonder why no American battles are in this list… We have had some big battles, but these were all bigger. So let’s hear your opinions. You can post them below. We are learning so many things from this battle history information. Battle of Berlin was primarily fought between the German army and Soviet army. The battle left over a million Germans without homes, clean water and food.